All of our packages are competitively priced, and if you have any stubborn stains that require extra attention, we offer a Rotary Agitation service with a soft brush or pad for an additional charge. Rotary Agitation will loosen any soiling from your carpet fibres, cleaning the carpet up to 50% better. Powerful Truck Mount System combined with rotary agitation using a soft brush. Pre-inspection and spot amp; stain survey. Professional advice and evaluation of your carpets. Powerful truck mount steam extraction. Powerful equipment delivers more vaccum, resulting in cleaner and dryer carpets. Commercial and larger areas – phone talk to one of our consultants today on 1300 136 365. For a more precise quote for your Brisbane home or office, fill out our Free Online Quote Form today! 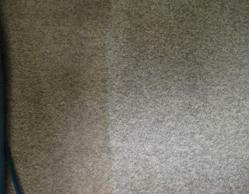 Pre-inspection and spot and stain survey.Professional advice and evaluation of your carpets. Pre-conditioning and spotting (some spots and stains extra. Commercial and larger areas – phone and talk to one of our consultants today on1300 136 365. For a more precise quote for your Brisbane office or home, fill out our Free Online Quote Form today! Pre-inspection and spot and stain survey Professional advice and evaluation of your carpets. Pre-vacuum with industrial up-right, hospital grade filtration. Dry vacuuming will remove more than 70% of dry soil. Replace furniture with protective tabs.Tabs prevent transfer of moisture, protecting carpets and furniture. Final grooming to remove cleaning marks.Resets the carpet pile; pile is left standing to maximise appearance and reduce drying times. Note: For Brisbane home and business owners. If you need a more precise quote, fill out our Free Online Quote Form today! Absolute Carpet Care operates a professional Brisbane based carpet cleaning service and can travel anywhere in the greater Brisbane region, both north and south of the Brisbane River.